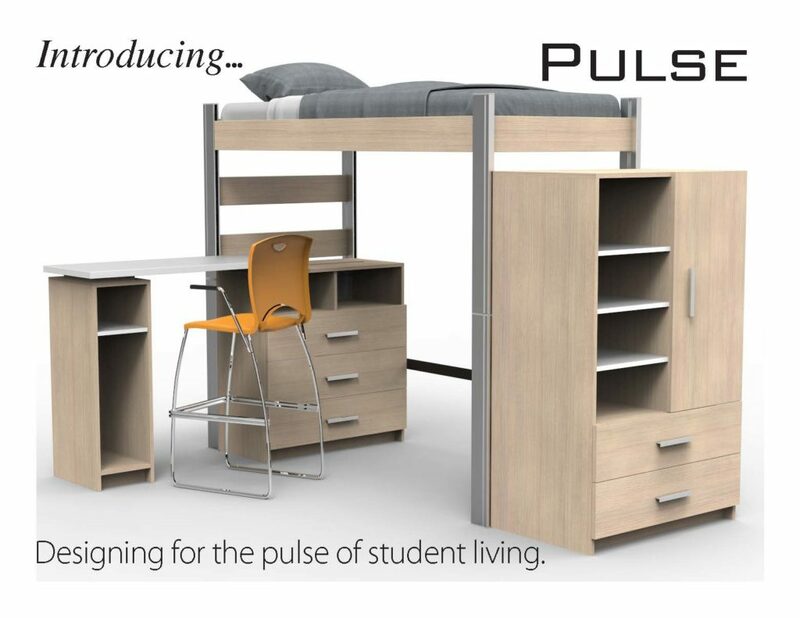 Furniture from The Brill Company’s Pulse line has been selected for the University of Lynchburg’s new residence hall. The new residence hall, which will be ready for students in Fall 2019, replaces McWane Hall and is located alongside Shellenberger Field, between Freer and Shackelford halls. 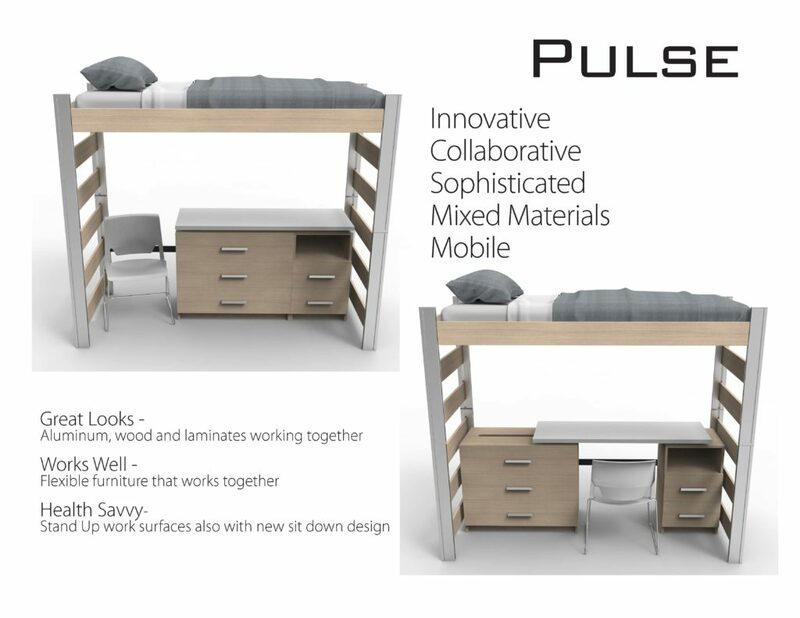 In surveying students who went by Drysdale Student Center to look at the furniture samples, Cooper said 96 percent said they liked the “overall appearance” of the Pulse line and 100 percent noted its “flexibility” and how easy it was to move. “Students were specifically drawn to the flexibility that the desk provides,” Cooper said. “One of our goals has to been to ensure there is flexibility throughout the entire building, including furniture selections. On February 11, Jeff Curcio, of the local firm Point of View, talked with student leaders — resident assistants, University Ambassadors, Westover Honors and student government — about color schemes, lounge furniture, and other interior design aspects of the project. According to Baird Taylor, site supervisor for construction firm Jamerson-Lewis, work is still on schedule. Over the past several weeks, the drainage swale down to College Lake was completed and interior wall framing began on the third floor. Also, Taylor said, brickwork is expected to begin ahead of schedule.